Pacifica Historical Society Rummage Sale! As usual, ALL proceeds go to the restoration of railroad Car 1409 - the only remaining car from the Ocean Shore Railroad cars. 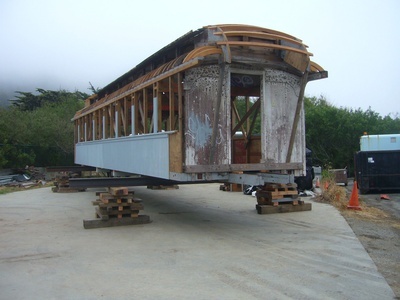 We have hopeful plans to restore it and have it as a historical attraction located somewhere in Pacifica. the OCR is homage to the Railroad that helped create today's Pacifica. Please help us keep our heritage alive for generations to come!